Draft beer has some unique characteristics that make it fundamentally different from the other product categories served at bars (liquor, wine, bottled beer). It’s the only product category where you’re guaranteed to experience natural waste since it’s fundamentally impossible to serve every last drop of beer in the keg. In spite of this natural waste, we’ve found that most well-designed draft beer systems will achieve a 95% keg yield on a regular basis. 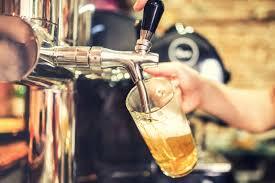 That means that for an average bar, natural waste should only account for 5% or less of the draft beer poured. We’ve arrived at this figure from performing roughly 200 detailed inventory audits across 20 states each month. This gives us a good context regarding what can be expected in terms of keg yield from your draft beer system. Bar-i’s inventory service precisely compares what is poured vs. what is sold at your bar. For most establishments, there is a big difference between these two figures. Our goal is to help you close the gap between what is poured and what is sold so that you can make more money. A guiding concept of Bar-i is that we want to provide information that allows the bars we work with to perform better. Our data is very accurate, which enables us to help you improve your performance. However, we also understand that it’s important to only focus on accuracy to the point where it allows you to make smart decisions regarding how your bar is being run. If this accuracy isn’t helping to improve our recommendations or your resulting actions, then it’s not worth the time and energy. 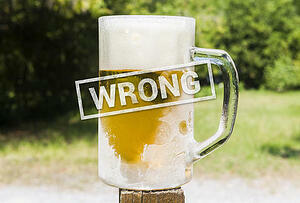 One area where we feel it’s not worth the effort to get overly accurate is in the recording of draft beer waste. While it’s important to have a general sense of the draft beer waste you typically experience, we don’t think that taking the extra step of ringing this waste into your POS system will provide any useful, actionable data. On the contrary, it can actually cause more problems than it solves. Tendency to exaggerate – Your staff wants to do well and demonstrate the value they provide to your business. This can create a self-reporting bias that often results in overestimating the amount of beer foam actually poured out of your taps. Adjusting by this overestimated amount can result in data that doesn’t reflect the actual performance of your draft beer products. Hard to measure foam accurately – It can be extremely difficult to measure foam accurately without taking the time to let it settle all the way down to beer first. This process simply isn’t practical during a bar shift. Makes data less reliable – If you adjust your numbers constantly to account for this wasted foam, you’ll end up capturing some of the wastage, but not all of it. This adds another variable to the data collection process, since you won’t know what percentage of this wastage was actually tracked or whether you are tracking the same percentage consistently each inventory cycle. As a result, it will be hard to know whether your numbers are reliable, and you can’t confidently make smart decisions about how to adjust your bar’s operations without reliable data. Harder to gauge your draft beer performance – Bar-i evaluates keg yield based on the following metrics: each full-sized keg contains 1984 ounces of beer, and most bars are using a 14.5 oz. pouring assumption for a 16 oz. pint of beer. Using consistent metrics allows us to compare the keg yield achieved by all of our clients, which is why we are able to confidently determine that an average keg yield is approximately 95%. If you start altering your metrics to exclude beer wasted due to foaming, it becomes more difficult to compare your numbers with the data we’re gather from the other bars we work with. As a result, you’ll lose important perspective regarding how well your draft beer products are actually performing. You always waste beer during the line cleaning process because you have to drain the lines before the cleaning fluid runs through them. Many bars we work with want to account for this wastage by ringing it into their POS system. With the exception of extreme cases where you have really long lines, we strongly recommend against this approach. Physically measure the amount of beer that bled through the lines during the cleaning process. We suggest measuring this amount for a few of your lines and then scale up this figure to reflect the total number of draft beer lines used at your bar. If you know the length of your runs and you know the diameter of the feed tubes that come from the walk-in cooler, Bar-i can use this information to estimate how much beer has been wasted. In general, we recommend using both of these tactics and blending the results to arrive at the most accurate figure possible for wastage during line cleaning. By figuring out how much beer is being wasted every time a line cleaning is performed, Bar-i will be able to use this data to calculate how much this wastage should affect your accountability performance score. For example, if your bar typically achieves a 95% keg yield and the beer wasted during line cleaning results in a 2% drop in yield, then we know that a 93% keg yield on a week where the lines were cleaned is essentially the same as a 95% yield on a week where there was no line cleaning. This will ensure that fluctuations in keg yield due to line cleaning won’t impact the recommendations we provide in our inventory reports. It’s important to understand how line cleaning impacts your keg yield in order to make smart decisions based on the data you receive from each inventory audit. However, accounting for this wastage in the manner described above is a much more effective way to manage this process than by ringing it into your POS system since this waste wasn’t actually poured or sold. We recommend accounting for these types of spills by ringing them into your POS system. This is part of the cost of doing business and falls into a different category of waste. 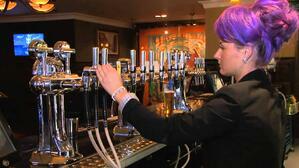 Spills are avoidable waste as opposed to the natural waste inherently built into the use of a draft beer system. It’s important to account for spills in your POS so that they don’t impact our estimate of your keg yield. 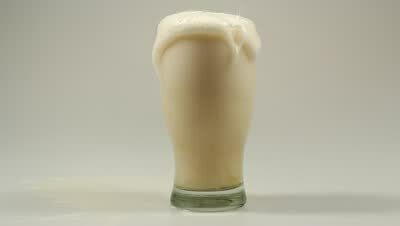 It’s a good idea to have your bartenders record foaming issues during a shift. For example, if there were problems pouring Coors Light all night but the other lines were performing fine, it’s useful to have a record of this information. 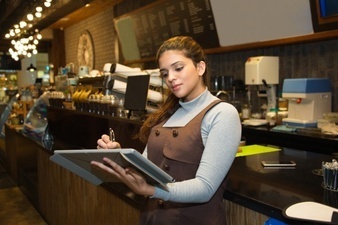 Your bar staff should note this issue in your shift log book (we strongly recommend that you keep a shift log book to communicate anything important that occurred during a shift). It’s a good way to improve communication between your staff and make sure everyone is aware of any problems that may exist with your beer lines. It gets your bartenders thinking about waste. If they have to write down any significant waste issues from their beer liens, they will be more aware of these issues as they arise. While we strongly recommend that you write these foaming issues down, you should NOT ring them into your POS system. Ringing these issues into the system will make your inventory numbers less accurate since this beer was neither served nor sold. Ultimately, you will have a harder time making smart decisions about your operations if your inventory data isn’t highly accurate. That being said, this entire discussion is moot unless you’re using a sophisticated inventory system that can precisely compare what was poured vs. what was sold for each product you serve. Without this granular data for every draft beer product at your bar, you won’t be able to know how natural waste is impacting your draft beer performance. Instead, you will only be able to generate one generic liquor cost figure that encompasses the performance of every product. Bar-i typically helps our bars achieve a 3% reduction in liquor cost. This occurs by using the data we generate from the inventory process to make smart decisions regarding they way your bar is being run. We can help you identify specific draft beer products that are underperforming compared with the levels of natural waste exhibited by the other products you carry. Over time, improving these underperforming products and the corresponding reduction in liquor cost you’ll experience will generate significant additional profits for your bar with very little expenditure of financial or manpower resources. If you’d like to learn more about how Bar-i can help you streamline your operations and maximize your profits, please contact us today to schedule a free consultation. We serve clients nationwide from our offices in Denver, Colorado.